Okay! And we’re back to business as usual! War of Light is still going hot and heavy as we head into Month 4, but methinks we’ve got that set covered and then some! I mean, really. Besides, we have a whole new set of cosmic goodness to talk about. Guardians of the Galaxy (not to be confused with the awesome GotG Movie Set that released in July) came out in August; it’s high time we had a Top Ten review!! –There is a metric Poop-Ton of generic figures in this set… which, for once, is actually awesome! Taking a page from War of Light, there are a bunch of non-Prime A and B sides to most of the low-numbered sculpts. I know a lot of folks hate repaints, but doing the Common figures this way allowed WizKids to sneak a bunch of different races and characters into the set than they normally would have (like Brother Royal, Jason of Sparta, Ikon, etc.). And these aren’t just cheapies that you’ll never use–many of these are legitimate pieces to build an army around. For example, while the Spaceknight generic is cool, the B-side Ikon is a brick with two different dials that can power an Annihilators Theme Team with free action attacks and (with the Annihilators ATA) remove tokens from her brethren whenever she KO’s an opposing figure. Recorder #451 can enhance Scientist teams (especially those featuring Iron Man) to a lethal degree while being an attacker to reckon with on his own. And so on; if this is a new trend going forward, I’m on board. It really cuts down on the legions of useless Common dupes that you normally end up with each time a new set comes out. –In terms of Overall Power Level, Guardians is NOT Deadpool (if you saw this coming last January, you’re a better man than me; I thought for sure it’d be the other way around). Of course, you might remember that when Deadpool came out in May, I said that Deadpool was not as strong as Iron Man or SLoSH. Well… I was an idiot! Deadpool has proven to be almost annoyingly strong, although maybe not entirely in the way that the designers intended; I think Copycat is still a MAJOR problem that we have not seen the last of. While I applaud almost all of the ROC’s latest rules changes, their decision to ban Entities for half of their season is possibly short-sighted and is almost certainly going to make Copycat worse in terms of her ability to COMPLETELY disrupt a player’s strategy before the game has even started. But from a simple design standpoint, I don’t see how it makes any sense to reward the player who didn’t put any thought into their Build because they know Copycat will just completely screw with their opponent’s plan over the player who took the time to come up with an actual strategy. Of course, she was designed to be used in an environment that has Angrir’s Hammer and Nurse Constructs aplenty; it’s not WizKids’s fault (or their problem, really) that the ROC has a Tactics-less, Entity-less season. So now, instead of being dominated by a select few pieces, the ROC has created a season that could possibly be dominated by one. But, as this is really a Deadpool set issue, we’ll table it for the moment. More on all this in the next Weekly Roundup. Anyway, where Guardians as a set excels is in the breadth of its top to bottom roster. It’s also cool how many characters from recent storylines are finally making their Heroclix debut. This is one of the funner rosters that WizKids has put together in recent memory (so long as your a fan of Marvel’s cosmic heroes, I suppose, but since I am and this is my column, there ya go!). –While I’ve been on record as saying that the Chases in this set SHOULD have been the Black Order, at least we got decent versions of all of those villains in other rarity slots. 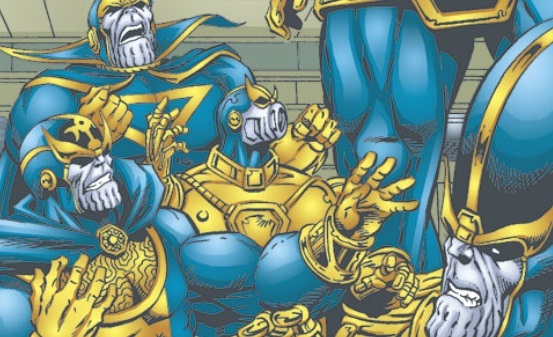 That a Thanos Prime exists in the game (his Prime is Thanosi, and it’s really stinking good) makes me smile–until I remember that we didn’t get a Zombie Thanos, which might have saved the Chases this go around. While half of them are solid (Magneto, Dr. Doom, Red Skull), there are no Damage Fountains like Zombie Electro this time around and there’s only one that made Top Ten (we’ll get to him in a lil’ bit!). And Zombie Skrull is really just a waste of everyone’s time (seriously? This slot couldn’t have been Zombie Thanos? Blccch). –Speaking of the sub-themes of the set, I was pretty happy with the roster selections. The Inhumans didn’t turn out so hot, in my opinion, but we needed Modern versions of all of them, really, so I didn’t mind that they were in the set. 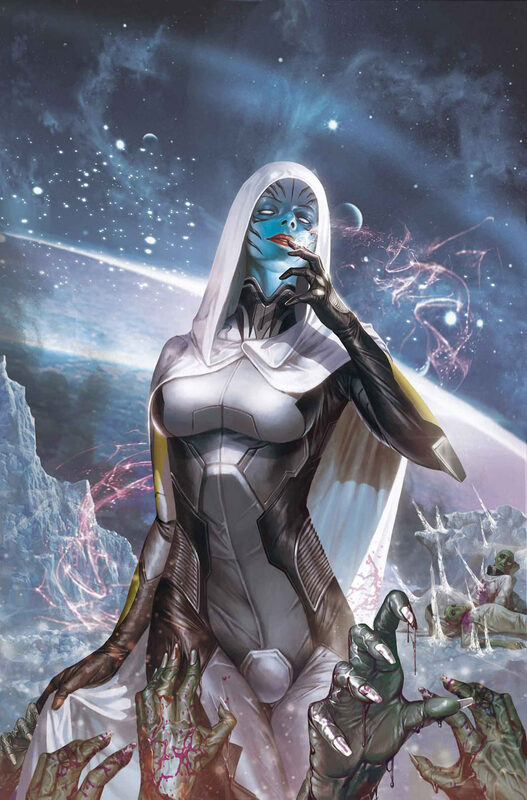 We’ve talked about how cool the Black Order is, and I was glad to see all the different cosmic races featured, with a focus on the Kree. Again, outside of no Zombie Thanos, they did a great job of selecting who should or should not be in this set. –I think I mentioned this during the last Weekly Roundup, but for whatever reason, all the Primes (all 4), Chases (3) and most of the Super Rares (lost count at this point–I know, #FirstWorldProblems) that I’ve either pulled myself or witnessed be pulled by someone else have EXCLUSIVELY come out of the “Guardians of the Galaxy” front box art packs (as opposed to the “Thanos” bedecked boxes). If a small sample size of anecdotal evidence is enough to convince you that all Chases and Primes only come out of the GotG boxes, well, then, there ya go!! (Somehow I suspect that your mileage will vary; still, thought it was an odd enough phenomenon to warrant mentioning). –The Zombies Team Base is technically a character, and a very good one at that (I love Zombie Miasma! ); I’ve precluded it from this list, however, for a couple of reasons. First, most of our readers will never own enough Zombies to make it work. It stinks, but it’s true–that’s what happens when you make a Team Base that can only be filled by some really pricey Chases. Second, just like the Avengers and X-Men Team Bases from the AvX set, the characters you choose to use with your Team Base and the order that you place them in can have a HUGE effect on how effective the piece is overall. 6. GOTG047AE Thanos – 200 Points – Rare: Thanos is tough to field in a 300 Point game; let’s just get that out of the way first. He had no move-and-attack, and his Third Trait prohibits him from using Relics or Resources, so that doesn’t help. But these lists aren’t just about the effectiveness of these figures in 300 Point matches, and in Epic games (400 Points or more), Thanos is a MONSTER! His first Trait (CHOOSE – THE GAUNTLET OR THE TRIBUTE: At the beginning of your first turn, each opponent chooses one: Deal 1 damage to each character on his or her force 100 points or less; or choose a character on his or her force 101 points or more and deal that character 3 damage. Opponents can’t choose an option for which they have no characters.) is the only way in Modern that I know of to deal damage to your opponent’s force on your first turn–and you don’t even have to roll dice!! Yep. They ARE terrifying in large point games, and I bet we’ll be hearing from a few more of their number before the rest of this article is finished. Is your venue running a 600 Point Modern game this week? Play a Black Order team with Thanos and watch your opponent’s lip quiver when you start taking tokens off of Proxima Midnight or Corvus Glaive FROM ACROSS THE DAMN MAP! 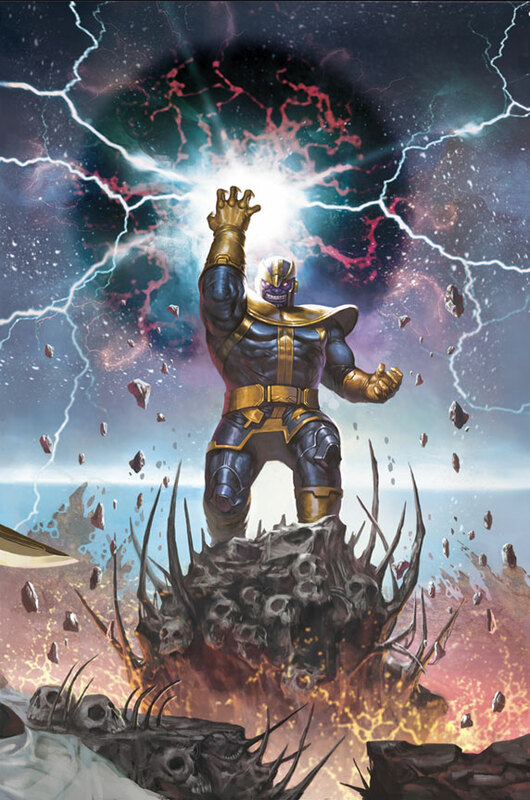 Thanos’s lack of move-and-attack (beyond Sidestep) can be fixed with Entities (he even shares a Cosmic keyword with them), but honestly, he’s still a heavy hitter even without it. If he was better in 300 Point games, he might have cracked the Top Ten. But he’s still really good in larger point contests. 5. GOTG019B Dr. Minerva – 125 Points – Uncommon PRIME: The worst of the Primes, Dr. Minerva is still useful in her own right–just narrowly so because of her Trait (IDEAL GENETIC MATE: When Dr. Minerva is adjacent to a friendly character named Captain Atlas or Captain Marvel, modify all of their combat values by +1.). When teamed with GOTG101 Captain Atlas, GOTG019A Captain Marvel or GOTG207R Captain Marvel, she becomes the engine of a pretty good offensive matrix. As a Prime, though, for what she brings to the table (and particularly with her relatively low Damage values), I’d have expected her to be in the 100-110 point area. Still, her second Trait (EXPERIMENT ON YOU TO IMPROVE OUR SPECIES: Once per game before an adjacent opposing character with one or two action tokens takes damage from Dr. Minerva’s attack, you may choose a standard power that character can use. Until the end of the game, friendly characters with the Kree keyword can use that power.) 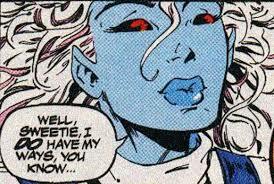 gives her the power to copy any standard power possessed by an opposing figure and give it to anyone on your side with the Kree keyword–that’s pretty cool. 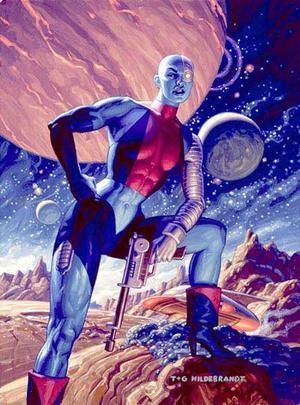 Outside of an all-Kree team that includes one of her two ideal genetic mates, she’s almost not playable at her point cost; that’s what keeps her from getting into the Top Ten. 4. GOTG014B Brother Royal – 70 Points – Common: Look, it’s tough nowadays just finding a figure with 6 clicks of life and a couple of standard powers for 70 points. But the good Brother here gets Phasing, Psychic Blast, Toughness and a Special Damage power that grants either Outwit or Perplex. Then, if you play 2 of these guys (which puts you at 140 Points–10 less than HALF your Build in a standard point game), you get to bump up EACH of their Combat Values by +1 AND they each get Shape Change and Stealth! That’s a pretty badass 140 point figure there, but, since they’re actually two different characters, you get to attack twice a turn! Brother Royal rates a tick ahead of Dr. Minerva because the Brothers don’t need to be adjacent to each other for their +1 bonus to work (just need to be on the same map–ie, not KO’d). For just 15 more points, two Brother Royals provide so much more than Dr. Minerva, which is why the Brothers are two spots ahead on this list. 3. GOTG013B Recorder #451 – 100 Points – Uncommon: Solid support piece who is also a very capable attacker top dial. His Trait is kind of bonkers, but really useful if you build your team around it (ENGINEERED YOU FROM BIRTH: At the beginning of the game, choose another friendly character with the Scientist keyword. Modify that character’s speed and range values by +1 for the rest of the game, even if this ability is lost. If that character is also named Iron Man or Tony Stark, modify all of that character’s combat values except damage by +1 instead.). I just love pieces that suggest Builds right on their card that you might not normally play. If you’re using him purely as a support piece/secondary attacker, he’s fine, but not great for his points. But if you plan on taking full advantage of his Trait and his last Click Attack Special (GODKILLER: Give Recorder #451 a power action. Deal Recorder #451 1 unavoidable damage and for the rest of the game, the character chosen for his trait has “colossal damage symbol”, “Power Cosmic team ability symbol”, can use Impervious and modifies all of its combat values by +1. ), you can really come up with some cool AND effective Builds! So while the rogue Recorder is useful, and his dial is undeniably creative, his point cost is still a little high. Otherwise, he’d be in the Top Ten! 2. GOTG016 Nebula – 87 Points – Common: Okay, if you’re a regular reader, you probably know that I’ve been pushing IIM040 Shaman on people for the better part of a year now, simply because his “No Flights” power makes it so hard to cross certain maps to get into attack position. Which means that if your playing a “stall” Build (Iron Pharoah, Fantomex, etc. ), you’ll have a lot of time to prepare, which is exactly what those sorts of teams need to be effective. Well, Nebula’s 5 points less and starts with a Damage Special Ability that straight out forbids your opponent from Carrying (STEAL YOUR TRANSPORT: Opposing characters can’t use the Carry ability. If there is an opposing character possessing the Carry ability, Nebula modifies her speed value by +3 and can use the Carry ability.). Moreover, if they have pieces that started with the Carry ability, she gains Carry AND gets to add 3 to her Movement Value. SICK, SICK, SICK!! You want board control? Play Nebula and you’re almost guaranteed it. She also has the Robot keyword, which grants her access to their ATA (a special form of Perplex). She also starts with Running Shot, Pen/Psy, Sharpshooter, the ability to target through Hindering Terrain, Toughness, Willpower and 3 Damage. Did I mention she’s only 87 Points?! The once and future bearer of the Infinity Gauntlet was just a quick blink away from cracking the proper Top Ten! 1. GOTG023 Yondu – 76 Points – Uncommon: His stats and power mix aren’t QUITE good enough to crack the Top Ten, but man, he has SUCH an exploitable Trait (YAKA ARROWS: Give Yondu a power action. Make a ranged combat attack targeting a single opposing character regardless of line of fire. ), especially top dial when he has Precision Strike and 3 Damage showing! He only has the Mystical and Guardians of the Galaxy keywords, but GotG is obviously huge now, especially when paired with some of the folks coming up on this list (and it gives you access to a couple of different ATA’s, one of which is extremely good). Everyone plays slightly differently, but if you’re the type of player who’s great at positioning, Yondu is a blessing. On the right map, he’s arguably the best secondary attacker in the game right now because of how much raw area he can cover with his Trait. And at the end of the day, he’s priced right and won’t cost you a Prime slot. 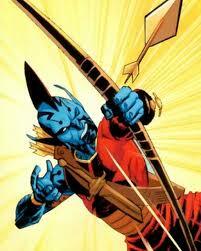 So Yondu gets the “Close… But No Cigar” Award!! THE TOP TEN FIGURES IN GUARDIANS OF THE GALAXY!! 10. 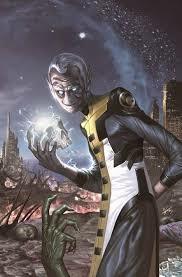 GOTG025 Ebony Maw – 65 Points – Uncommon: Well, I said there’d be more Black Order on here, didn’t I? One of the creepiest characters from last year’s Infinity story arc is now one of the tricksy-ist supporting pieces in the set. Both of his Traits are fantastic; the first (WORDS, WORDS, WORDS: Whenever an opposing character uses Outwit, Perplex or Probability Control, place a Whisper token on this card. Give Ebony Maw a free action and remove a Whisper token to use either Outwit, Perplex or Probability Control until your next turn if he can’t already. He may be given this free action up to three times each turn.) helps you react to all of your opponent’s board control abilities with one piece. The second (CULL OBSIDIAN: When Ebony Maw is KO’d by an opposing character’s attack, deal damage to that character equal to the last amount of damage dealt to Ebony Maw. This damage can’t be reduced below 1.) is common to every member of the Black Order except Thanos (don’t worry–the Mad Titan has even meaner tricks of his own!) and acts like a snake in the mailbox for whoever finally KO’s the Maw. But before they can KO Ebony Maw, they have to find a way around his Attack Special (TWIST YOU INTO BETRAYAL: Whenever Ebony Maw is targeted with an attack from an opposing character, you may choose an adjacent opposing character that isn’t the attacker to be the target of that attack even if that character couldn’t normally be targeted.). That is incredibly good, and it makes the Maw one of the best tie-up figures in Modern at the moment because he actually gets BETTER when you tie-up more than one figure at a time with him! When Ebony Maw is on the board, your opponent needs to make sure that either all of his characters have at least two squares between them (which means bye-bye to any standard Enhancement, Empower or Leadership powers they have, and makes Hydra, Police and a multitude of other TA’s useless) or he needs to make sure that he has enough Outwitters who can actually see Ebony Maw (remember, he also has top dial Stealth) to take away that Attack Special (of course, Outwitting Ebony Maw also GIVES Ebony Maw the ability to use a Whisper Token the next turn, so you better make your shots count!) long enough to off him. This is one of the peskiest pieces they’ve designed in awhile. 9. GOTG045 I.S.A.A.C. – 88 Points – Rare: I’ll be honest–I have no idea who this guy is or why he looks like Destro from G.I.Joe. 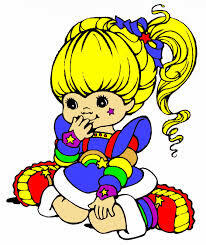 But a figure who can Outwit through just about anything AND THEN launch a 3 Bolt, 3 Damage Energy Explosion bomb from 10 freaking squares away can look like Rainbow Brite for all I care, especially when that character costs well under 100 Points. Top dial, I.S.A.A.C. can also use Phasing/Teleport, Indomitable, Stealth and Carry, so he can get your other pieces into play before he turns his attention to blowing stuff up. But this is not a one-trick pony! I.S.A.A.C. ‘s back dial turns into an 11 Attack Value Support-sporting healer. Yep! That’s right–he’s a secondary attacker/supporting figure hybrid. And he’s even got the Robot keyword, so he can gain Perplex through their ATA. One of the more efficient pieces in the set–and, of course, like every other piece, he starts getting frightening when you equip him with Hammers. I would not be shocked if this guy makes a ROC Top 16 or two in the near future. 8. 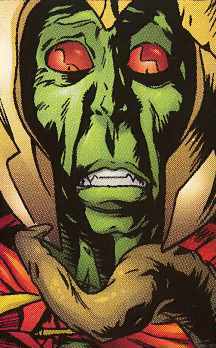 GOTG062 Super Skrull – 170 Points – Chase: An 8-Click-long Primary Attacker who has the ability to become whoever–or whatever–you want him to be. Like all the other Zombie Chases, Super Skrull ignores characters for movement purposes and can gain Food Tokens while giving Virus Tokens whenever he deals damage. 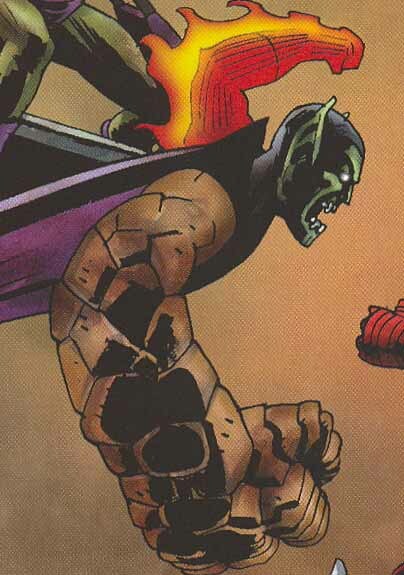 But his other Trait is where he really makes his money (IT’S HARD TO EMULATE FOUR POWERS WITH HALF MY LIMBS: Give Super Skrull a free action and choose up to one each of standard speed, attack, defense, and damage powers. Super Skrull can use the chosen powers until your next turn. For each power chosen this way, place a Power token on his card. At the end of your turn, roll a d6 that can’t be rerolled, and subtract 1 for each Power token on his card and remove all Power tokens from his card. On a result of 1 or less, deal Super Skrull 1 unavoidable damage.). I know that’s a lot of text, but here’s what it really says: Pick up to any four standard powers in the game that you want (choosing only ONE power for each combat slot); Super Skrull can use ALL of those powers until your next turn. Then, at the end of your turn, there’s a roughly 83% chance that he’ll take 1 Unavoidable Damage. That’s a small price to pay for being able to choose, say, Hypersonic Speed, Impervious, Precision Strike and Shape Change. Or Willpower if you don’t want to take pushing damage. Or whatever you want! There’s plenty of ways to heal one damage in the game right now, too. Black Lantern Ring, Angrir’s Hammer (Super Skrull gets REALLY sick when he gets a Hammer)… the point is, Super Skrull is like a Swiss Army Knife. When he’s on your side, you just need to figure out which tools you need for each situation as it comes up, and then Super Skrull can instantly use them. This is the one Chase I think they really got right. 7. GOTG059B Doctor Spectrum – 110 Points – Super Rare (Prime): I like him better than his A-Side, Non-Prime version simply because he costs significantly less (like 27 Points less). The good Doctor here starts with the Wing Symbol, Running Shot, 3 Bolt Energy Explosion with an 11 Attack and a sick Trait (POWER PRISM: When targeting a single character with an attack, modify Doctor Spectrum’s attack value by the number of different-colored standard powers on the dial of his target(s).) to go with an even sicker Defense Special (TOUGHENED ENERGY CONSTRUCTS: Doctor Spectrum can use Barrier and Toughness. Give Doctor Spectrum a free action, choose a standard attack power, and he can use that power this turn.). To review, this guy can pick ANY standard attack power (like, say, Penetrating/Psychic Blast), graft a 3 Bolt Energy Explosion on top of it, and–oh, by the way–against most characters, he’s going to have a 12-13 Attack Value. In a Meta environment where Defense Values can routinely climb to 19, 20 or even higher, the ability to “Bunker Bust” a character in a Defense-ball squad with Spectrum’s high Attack Value AND splash 3 Damage to all his adjacent compadres is pretty huge! 6. GOTG017A Kree Lieutenant – 45 Points – Uncommon: The best generic in the set is a great supporting piece with top dial Enhancement, Sidestep and a 17 Defense with ES/D (thus making him very hard to splash with Energy Explosion Damage while he’s doing his Enhancement thing), but he’s actually a great tertiary attacker on his own as well! On his second click he keeps Sidestep and ES/D, but he actually GAINS Penetrating/Psychic Blast at that point (with 5 Range). 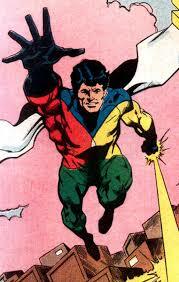 Then, at the back end of his dial, he morphs into a close combatant and picks up Charge, Empower and Combat Reflexes! Did I mention that this guy is a stupidly cheap 45 Points? 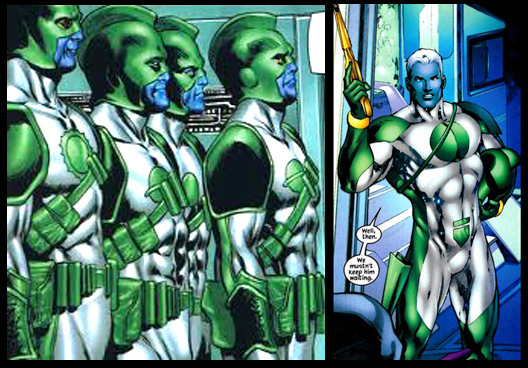 And his Trait–yes, he has a Trait on top of all the rest of the powers on his dial–gives +1 to the Attack Value of all friendly adjacent Kree. With all the great Kree figures we’ve gotten in the past couple months, that’s awesome! While I’m sure a ton of different Kree Build possibilities will present themselves moving forward, my favorite thing to do with the good Lieutenant is to team him with GOTGM106R Ronan the Accuser, which turns Ronan into a 10 Range, 12 Attack and 4 Damage-sporting monstrosity… and oh, by the way, you’d still have 155 Points to spend. Play a second Lieutenant to bump Ronan’s damage to 5, and you’d still have 110 leftover. All because someone thought the Kree Lieutenant’s 70 Point dial should only cost 45. Nice calculating, WizKids! 5. GOTG048 Supergiant – 120 Points – Rare: 7 Clicks of brutal, dirty nastiness. Supergiant has the standard Cull Obsidian Trait, but she also has three Special Powers that are worth mentioning, too. First, her Movement Special (MENTAL POSSESSION: Supergiant can use Mind Control. When she does, she isn’t dealt unavoidable damage from it and modifies her attack value by +1. At the beginning of your turn, she can use Mind Control as a free action to target a character she hit with Mind Control during your last turn.) gives her a free Mind Control every turn (after the first one hits, of course). That’s awesome. Second, her Attack Special (OMNIPATH: Supergiant can use Penetrating/Psychic Blast. When she does, she may target any number of characters.) lets her Multi-target with Pen/Psy. Finally, her Damage Special Ability (MENTAL PARASITE: Supergiant can use Outwit. When she does, the target character modifies its combat values by -1 until your next turn.) is damn near broken. Not just an Outwit, but an Outwit that really hobbles whichever piece she targets. 4. GOTG030 Star-Lord – 110 Points – Uncommon: Oh look, another Uncommon! The Uncommons in this set are just stacked! Star-Lord’s dial is very fair for 110 Points. Running Shot 2 Bolt Energy Explosion with 6 Range and an 11 Attack Value. 17 Defense with Energy Shield/Deflection. Pretty standard, right? Well, he’s got 3 more tricks up his sleeve that put him over the top. First, his Improved Targeting ignores Hindering Terrain. That’s always handy. Second, he has a Damage Special (TACTICAL MANEUVER: Star-Lord can use Outwit. When he does, he can count range and draw lines of fire from any friendly character that shares a keyword with him.) that’s really cool, especially when used with his Improved Targeting. Oh, Rocket Raccoon wants to shoot at Batman but he can’t because Bats has Stealth? Well, Peter Quill here can Outwit through Stealth FROM ROCKET’S POSITION ON THE BOARD!! I believe the industry term for a figure that can Outwit Stealth from across the map is “F#@king Awesomesauce!! 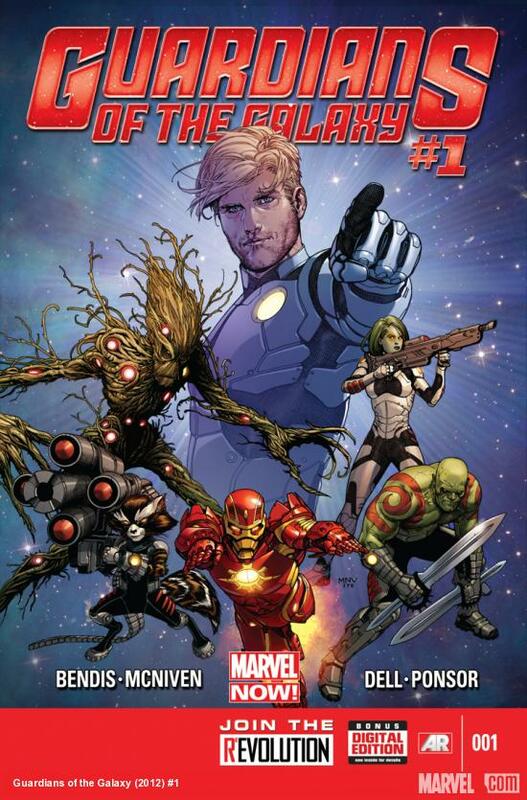 Obviously, this Star-Lord was designed to sort of quarterback GotG-keyworded teams, and he’s great at it. But his third trick–a Trait–is probably his best ability (GUARD THE WHOLE GALAXY: Friendly characters with the Guardians of the Galaxy keyword may replace their defense values with the highest printed defense values among friendly characters with that keyword.). Obviously, this was meant to be used with GOTGM018 Rocket Raccoon and his printed 19 Defense. So in addition to being a solid secondary attacker, Star-Lord is also gonna run some major support by Outwitting stuff other people can’t see AND by pumping everyone’s base Defense up to 19 (when played with Rocket, of course)! Which means that his 110 Point dial just went from “pretty solid” to “really damn good” in just four paragraphs!! 3. 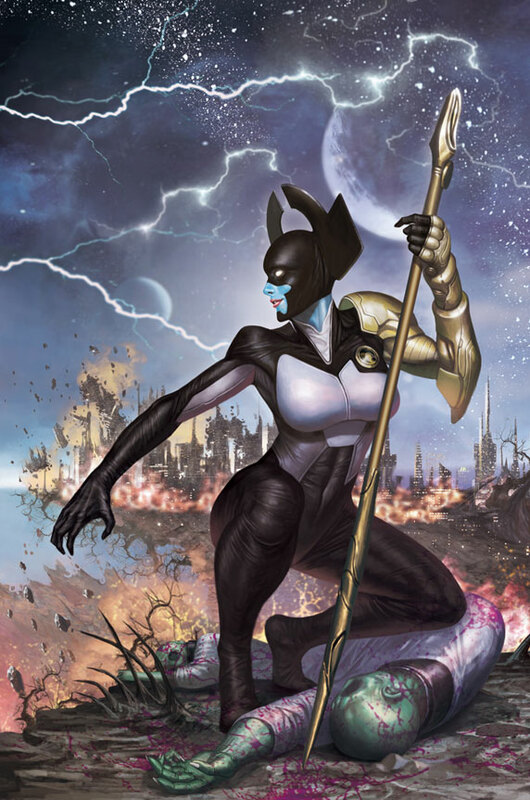 GOTG050 Proxima Midnight – 100 Points – Super Rare: Well, well well. Another great Black Order piece. If you just looked at her starting values and standard powers, she’d be worth her 100 Points without further explanation (although her Running Shot with Penetrating/Psychic Blast, Sharpshooter and ZERO Range would still seem like a pretty weird combo). But the designers gave her THREE awesome Traits on top of what’s already there on her dial. Her first Trait (THREE TRACERS OF BLACK LIGHT: Proxima Midnight begins the game with 3 Tracer tokens on this card. Proxima Midnight has a range value equal to the number of Tracer tokens on this card times 3, and has a number of bolts equal to the number of Tracer tokens on this card.) 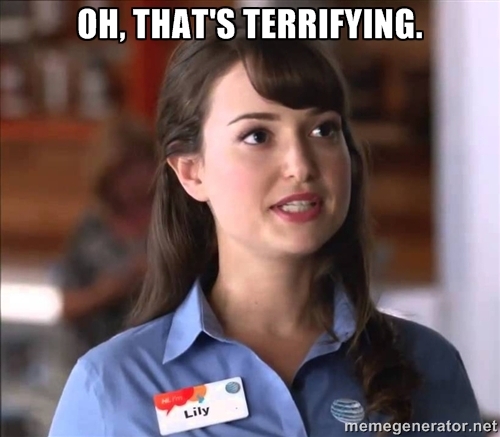 gives her 9 Range to start! How’s that Running Shot/Psychic Blast looking now? Her next Trait basically makes her Tracer Tokens pretty damn ridiculous (THE SPEAR OF PROXIMA MIDNIGHT: When Proxima Midnight hits with a ranged combat attack, remove a Tracer token from this card and place it on a hit character’s card if it doesn’t already have one. At the beginning of your turn, roll a d6 for each of her Tracer tokens on other character’s cards, and on a result of 3-6 deal 1 penetrating damage to the character with that Tracer token on its card. When a character with her Tracer token on its card is KO’d, place the Tracer token on Proxima Midnight’s card.). Yep. She’s basically got a 66.66% chance to (essentially) deal penetrating Poison from ANYWHERE ON THE MAP to up to three different characters that she’s previously hit. That’s a little bit good, no? Finally, she also has the Cull Obsidian Trait (CULL OBSIDIAN: When Proxima Midnight is KO’d by an opposing character’s attack, deal damage to that character equal to the last amount of damage dealt to Proxima Midnight. This damage can’t be reduced below 1.) that all of her peers in the Black Order possess except Thanos. 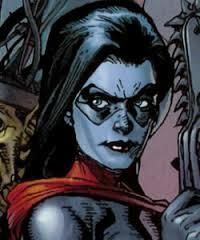 She also has the Minions of Thanos and Warrior keywords, in case you wanted to team her up with some Guardians Movie villain pieces or enlist her in Duhg’s Army. She’s another piece that would not surprise me if she showed up on a few ROC Top 16 Teams, especially since she can possibly remove more than one token a turn from current Meta-staple Bizarro. This is a sick piece. 2. GOTG047BR Thanosi – 100 Points – Rare (Prime): Lots of folks like his 200 Point dial. That’s fine. It’s awesome. Frankly, Thanosi could have made this list 3 different times. But I like his 100 Point version the best. Power Cosmic TA, Running Shot with 2 Bolt Energy Explosion, 4 Damage with Probability Control… Oh, and this Trait ([100 PTS] BUILT TO TEST MY FOES: KA-ZAR: Opposing characters within range can’t ignore terrain for movement purposes.). Yikes! And he’s got the Robot keyword, so he can gain a special version of Perplex as well! But can you imagine playing someone on, say, Wundagore Mountain with Nebula and Thanosi and plopping Thanosi near the center of the map on Turn 1? Your opponent would have to take the long way ’round with each and every character! So, yeah, at 100 Points, Thanosi’s kind of a one trick pony, but damn, it’s one hell of a trick! Another Prime Common hits the #1 spot. 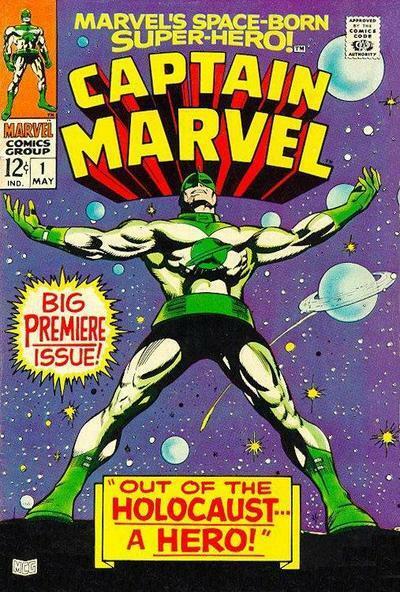 UNI-BEAM: Captain Marvel can use Energy Explosion, Incapacitate, and Penetrating/Psychic Blast. When Captain Marvel hits with a ranged combat attack, hit targets can’t make attacks during their next turn. DEFEND HUMANITY FROM MY PEOPLE: Captain Marvel can use Defend and Super Senses. Modify the defense values of adjacent friendly characters without the Kree keyword by +1. This power can’t be countered. And that’s ALSO insane! So insane that Ninwashui used him as Superior Spidey’s sidekick in Let’s Be Lanterns, Too! Marvel can be a Primary Attacker AND he can support your support pieces by raising their Defense to 19! That makes him a pretty damn efficient use of points, I’d say. Kree, Soldier, Spy and Scientist keywords (and man, has the Scientist keyword made a comeback or what?!? All the best pieces from this set seem to be Scientists or Robots!) mean you can use him in a bunch of different Builds! Okay! Soooo, that’s my list! You know what I think now! But who do you think is the best piece from this set? Sound off in the Comments below! Really great article and I really have no argument against your Top Ten list! I’ve been on the receiving end of a Thanos/Black Order beat-down and I fully agree with you that these are the stars of the set. 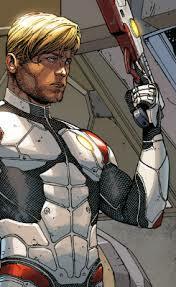 However, I’m a HUGE Inhumans fan, so I was thrilled to get updates to the characters in the set and in the fast forces. I’d probably give honorable mentions to gotg060 Thane (who brings a lot of utility in a 115pt dial) and gotg038 Maximus (who potentially gets an unlimited amount of outwits if he keep rolling 5s and 6s – or has that been errata’d? 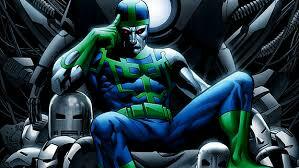 ), as well as gotg020 Ronan the Accuser who allows ‘kree’ keyworded figs to also get the ‘inhumans’ keyword. 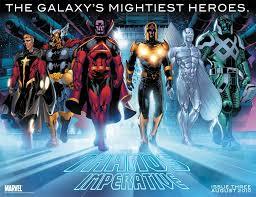 (think of the build possibilities with Captain Marvel prime or any other powerful Kree figs). Long live the 90’s indeed!! Ninwashui (as I’m sure you know if you read his rebuttal to my Top 10) completely agrees with you about the Inhumans. We just had an 800 point dust up putting just about every Imhuman from GotG (including Thane) against the entire Black Order. It went to time, but the Black Order ended up winning on points. At the end, a healthy Thane, Maximus and a dying Triton were being picked off by a unbowed and unbloodied 300-Point Thanos. That’ll probably be the focus of an upcoming battle article. ha! I just read the rebuttal article (i tend to read things in chronological order from past to present – that way i don’t miss something important) and I saw that Ninwashui honed in on the greatness of the Inhumans. I want to tell you that your Top 10 figs and honorable mentions were excellent choices – this is a huge set and it’s not always easy to spot the gems at a first glance (also bear in mind that many of us were still scrambling to complete our WoL collections when GoTG was released). Great article and great rebuttal. I’m looking forward to more in the future.